Rob is a proven goalscorer whose goals have helped Peacehaven & Telscombe, East Preston, Haywards Heath and Shoreham to Sussex County League titles and Burgess Hill Town to the Isthmian League Division One South crown in 2015. 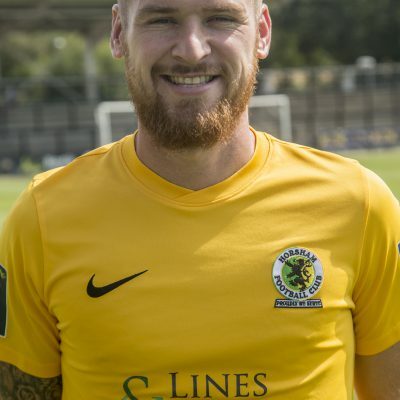 Joined Horsham last summer and scored six goals in twelve matches before being enticed back into the County League with Saltdean United, for whom he netted twenty-three times. Rejoined the Hornets in July.